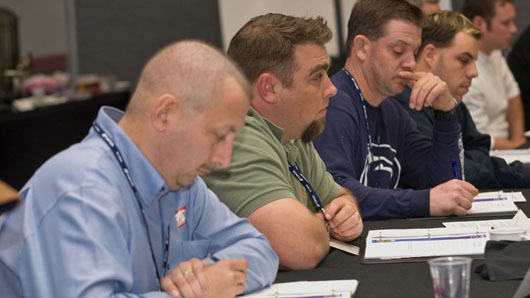 Attend more than one hundred live and on demand education courses offered through the MCAA website, and dozens of seminars conducted throughout the country to help your company maintain a competitive advantage. Don’t miss valuable time away from the office. With dozens of live webinars offered each year, MCAA members can enjoy top quality education without the hassle and expense of travel. Members save money and receive discounted rates on all educational programs and materials offered through the MCAA. The MCAA has developed the national Masonry Certification program to provide customers with a tool to assist with selecting mason contractors who are committed to quality. of mason contractors Say The MCAA provides quality educational and training programs.